Join Raven and his guest Faith Gemmill as they talk about Resisting Environmental Destruction on Indigenous Lands. Faith is the current Outreach Coordinator for REDOIL (Resisting Environmental Destruction On Indigenous Lands) REDOIL is a network that was created to share knowledge, experience and strategies for addressing the detrimental impacts of oil and gas development in Alaska. 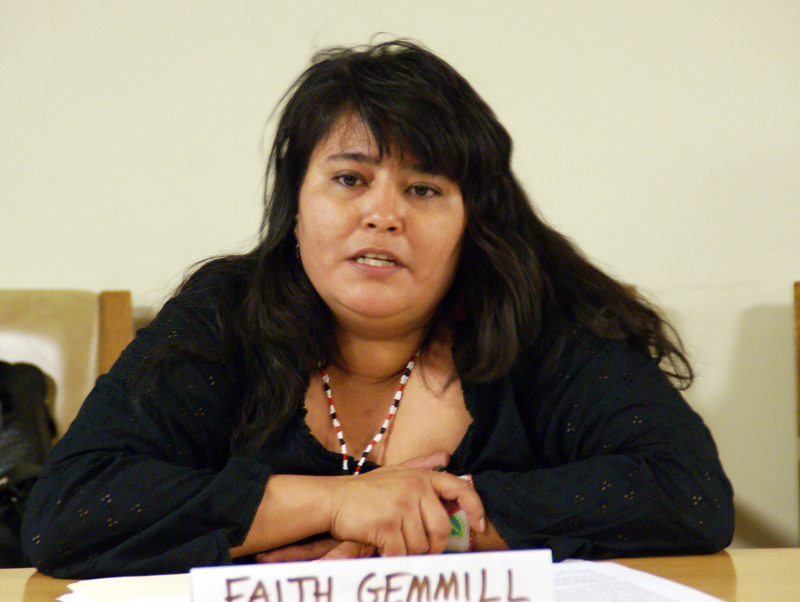 Faith is a field representative and alternate board member of the International Indian Treaty Council (IITC), an organization of Indigenous Peoples from North, Central, South America and the Pacific working for the sovereignty and self-determination of Indigenous Peoples and the recognition and protection of Indigenous Rights, Traditional Cultures and Sacred Lands. Before coming to the IITC, Faith served as the program coordinator of the Gwich’in Steering Committee for nearly a decade, working on issues of oil development, human rights, and defense of homelands for the Gwich’in. This entry was posted in Make No Bones About It and tagged Faith Gemmill, Gulf Oil Spill, Make No Bones About It, Native Woman, Raven Redbone, Resisting Environmental Destruction on Indigenous Lands, Turtle Island. Bookmark the permalink.